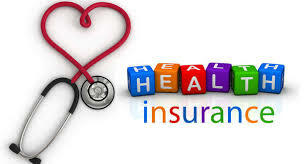 Currently a lot of personal health insurance products circulating in the market. Well sometimes make us as a prospective customer confused in choosing it. • Determine Your Purpose to have this insurance Is for pure protection or you plan as well as plan for investment, if You are aiming just to be protected to buy a pure health insurance product without any investment element or savings. • Choose the type of health insurance reimbursement you need Type of replacement Lum sum or better known as daily hospital charge assistance is the way of replacement only with daily allowance of the ceiling taken or type of replacement by replacing a number of maintenance costs that appear, meaning the amount replacement can be large or small is not absolute but with maximum limit per treatment or limit per year specified from the limit limit table you take If you do not have health insurance protection at all, I suggest to choose a more complete protection, including facilities which is more adequate with Cashless system means you do not need to spend money first to pay for hospital fees but simply by showing your insurance card membership. All can be done in the hospital your insurance partner. Do not be tempted by an insurance offer that requires you to immediately make a decision to buy it if you do not understand the exact contents of the warranty you get by doing autodebet on your credit card. Make sure you understand the true guarantee What you will get. Congratulations on choosing a personal health insurance that suits your needs.